Scaramucci called Lizza on Wednesday night because he was angered by a tweet from the reporter earlier in the day. That tweet cited a “senior White House official” who said Scaramucci was having dinner at the White House with President Donald Trump, first lady Melania Trump, former Fox News executive Bill Shine, and Fox News host Sean Hannity. “Who leaked that to you?” Scaramucci asked, to which Lizza said he could not reveal the source. Scaramucci had become incensed at Priebus the night before after a Politico report detailed his financial disclosure, which was publicly available from Scaramucci’s stint at the Export-Import Bank. 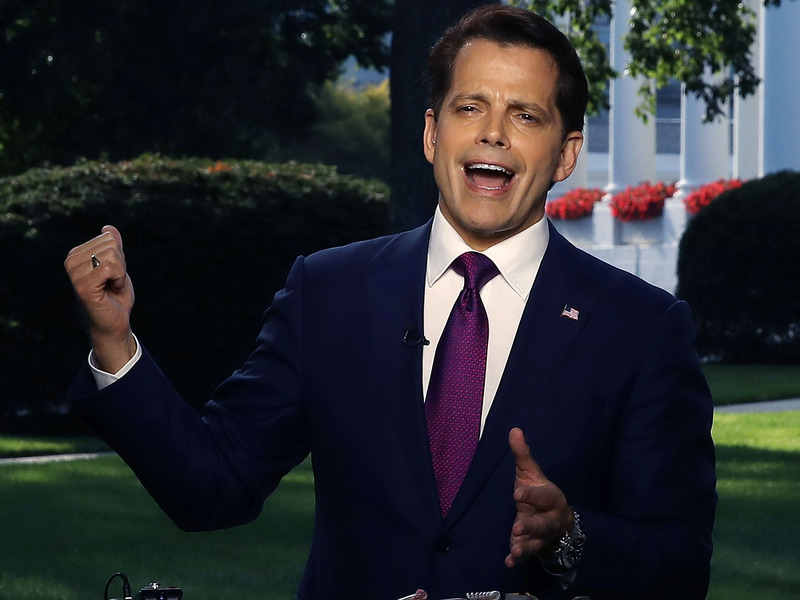 Scaramucci, who did not know that at the time, had tweeted that the report was illegally leaked and said he was going to contact the FBI and the Justice Department. He also tagged Priebus in the tweet and wrote #swamp. He transitioned back to Priebus, saying that the chief of staff would launch a campaign against him, in addition to soon resigning. “What I want to do is I want to f—— kill all the leakers and I want to get the president’s agenda on track so we can succeed for the American people,” he continued. Thursday morning, when Lizza appeared on CNN to discuss the Wednesday-night drama, Scaramucci called into host Chris Cuomo’s morning show and referenced the conversation with Lizza. He said that the reason he mentioned Priebus in that Wednesday night tweet that soon went viral was not because he was suggesting Priebus leaked but because he wanted Priebus to help discover the leakers. “He’s the chief of staff, he’s responsible for understanding and uncovering and helping me do that inside the White House, which is why I put that tweet out last night,” Scaramucci said. Meanwhile, during Thursday’s press briefing, White House press secretary Sarah Huckabee Sanders — who replaced her predecessor Sean Spicer, himself a former RNC official — declined to express confidence in Priebus.